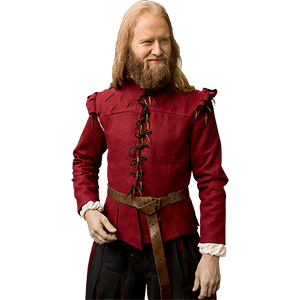 The wholesale LARP clothing offered here at LARP Distribution includes excellent pieces for men, women, and children, ranging from wholesale medieval apparel and character accessories to wholesale costume effects. 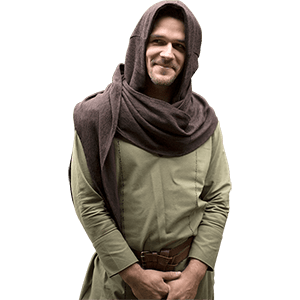 We carry excellent base pieces for any LARP outfit like medieval pants, period tunics, and medieval cloaks and capes. Our inventory also includes great picks for LARP warriors such as tabbards, gambesons, and other armour padding. The selection of wholesale LARP apparel and wholesale costume accessories comes in a number of styles to suit many looks, such as fantasy, medieval, horror, and Renaissance. Aprons can add to the authenticity of many character looks. 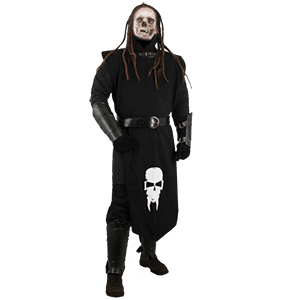 LARP Distribution carries a range of wholesale medieval aprons for live action roleplay and costume use. These medieval aprons are made in historical styles and out of high quality materials. We carry apron dresses, apron skirts, and craftsman aprons that will embellish any look. These LARP clothing accessories are great accents to a variety of historical and live action roleplay outfits, adding authenticity to different roles like craftsmen, servants, maids, blacksmiths, and many other character types. Shop here for all our medieval and Renaissance aprons. Any LARP ensemble is not complete without the perfect piece of wholesale LARP outerwear, such as these cloaks, capes, and medieval robes. LARP Distribution carries these items in various styles, colors, and materials, so they can easily suit our wholesale medieval clothing and wholesale fantasy apparel. Many pieces feature excellent details such as hoods, embroidery, leather accents, and various clasps and ties. 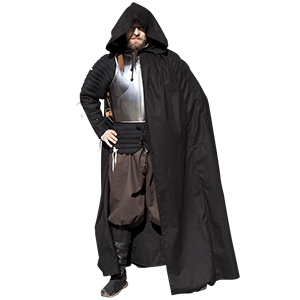 These wholesale LARP capes, robes, and cloaks can be worn by men or women. At LARP Distribution, we carry a fine assortment of wholesale padded armour and wholesale gambesons to increase the comfort and protection of those wearing our wholesale steel armour or wholesale leather armour. Perfect for historical reenactors and LARPers, our wholesale medieval arming wear extends beyond gambesons to include things like padded bracers, padded arming caps, and padded greaves. 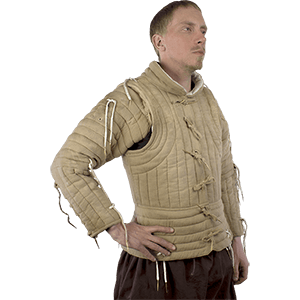 Medieval LARP enthusiasts can help to prevent pinching and sliding with these excellent pieces of wholesale armour padding. 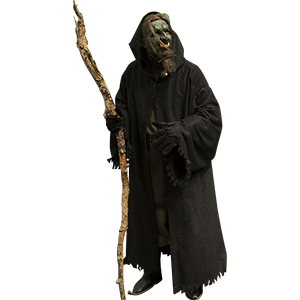 Offering a lighter option than our wholesale cloaks and medieval capes, the wholesale LARP hoods offered at LARP Distribution work well for warmth and disguises. With their shoulder mantles and deep hoods, these wholesale medieval hoods feature more coverage than other forms of medieval headwear, providing a serviceable option for keeping out of the wind. We carry designs that range from light cotton hoods to fur-trimmed hoods to lined hoods, ensuring that one will suit almost any medieval or Renaissance outfit. Our wholesale medieval outerwear allows customers to wear their favorite LARP ensembles all year round. 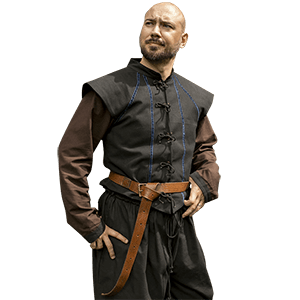 The wholesale LARP trousers offered by LARP Distribution come in a variety of styles to suit different historical periods. 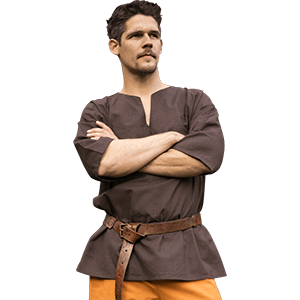 We carry excellent wholesale medieval pants in several colors, as well as in the iconic Landsknecht design. 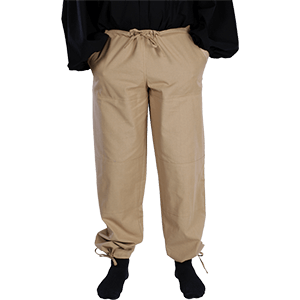 Our hakama-style pants make a fine addition to our other pieces of wholesale samurai clothing, and Renaissance breeches can accommodate a wide array of LARP ensembles. As a staple of LARP attire, be sure to consider our fine selection of wholesale LARP pants. LARP Distribution offers a range of wholesale skirts in medieval, Renaissance, and fantasy styles. Our historical skirts are essentials in the wardrobes of many women, and they are great for live action roleplay, historical reenactment, and more. 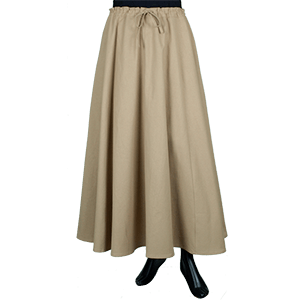 Shop here for heavy cotton skirts that work well for peasant outfits, full length medieval maiden skirts, pirate skirts, and versatile skirts that will suit any number of looks and settings. 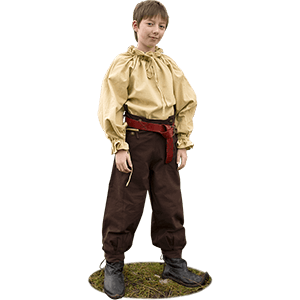 We offer overskirts as well for layering with other historical or fantasy clothing to create an entirely different outfit. Versatile and easy to wear, we offer high quality medieval skirts for nearly any occasion and suitable for a wide variety of characters. The wholesale medieval surcoats and period tabbards offered by LARP Distribution go great with our other pieces of wholesale knight clothing. Ideal for Crusaders and other medieval warriors, the wholesale LARP tabbards and reenactment surcoats come in various historical styles, as well as fantasy-inspired options. 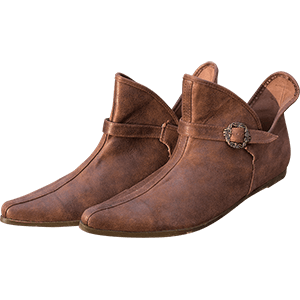 Though these pieces can be worn on their own, they also look amazing when cinched at the waist with our medieval belts. Check back regularly to see new items added to this growing section. 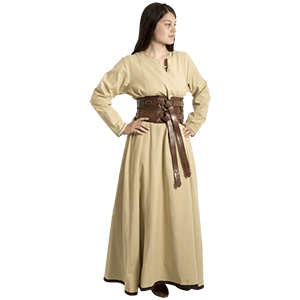 Among our wide range of wholesale LARP clothing, the wholesale LARP tunics offered by LARP Distribution are some of the most functional pieces available. Falling to roughly mid-thigh, these wholesale tunics come in many different styles, including classic medieval tunics, fantasy tunics, Roman tunics, and samurai vests. These historical tunics pair well with other pieces of medieval knight clothing and the leather belts that we offer. 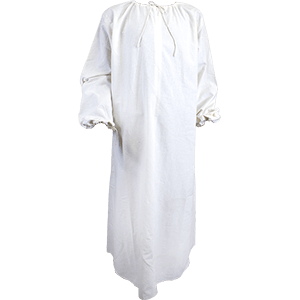 Take a moment to browse our wholesale medieval tunics and other peasant garb to see the new pieces that are added regularly. Let age bar no one from enjoying the opportunity to dress up in excellent medieval attire. 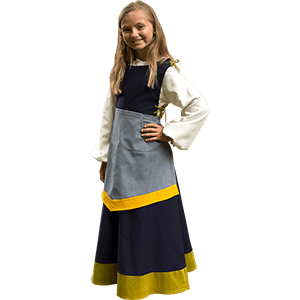 LARP Distribution is pleased to offer a selection of wholesale childrens LARP apparel and wholesale kids medieval clothing. 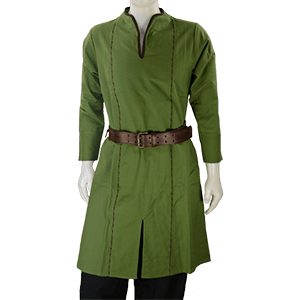 We carry wholesale LARP clothing for boys and girls in a variety of styles ranging from medieval to Roman to fantasy and beyond, ensuring that almost any look can be accommodated. This growing category primarily offers kids tunics, though you should check back regularly to see new product additions. Nothing transforms someone into their character quite like the perfect hat. For that reason, LARP Distribution carries a variety of wholesale medieval and Renaissance hats. 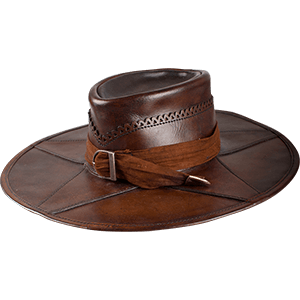 From leather tricorns to top hats, we have historical headwear for a number of characters and settings. Our hats are versatile and easy to wear accessories that can inspire new looks or add the perfect touch to existing ensembles. Shop here for wholesale pirate hats, medieval hats, Renaissance caps, womens medieval headwear, and more, all well-suited for live action roleplay, historical reenactment, Renaissance fairs, and even theatrical productions.